Declines in consumer confidence and decreased sales threaten all businesses, but small businesses are particularly vulnerable as they often don't have the reserves to help them weather difficult times. 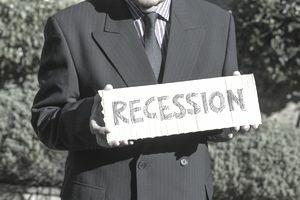 How, then, can you recession-proof your business? Implementing these practices will help ensure your small business's survival and even allow it to thrive during tough economic times. Cash flow is the lifeblood of your business; to keep your small business healthy, cash needs to continue flowing through. Now no matter how tough times get, having cash flow out of your business will never be a problem. As long as your business exists, you will have expenses. But the harder times get, the harder it can be to keep the cash flowing in. Recession-proof your business by implementing strategies to keep the cash flow moving. See also 5 Quick Ways to Improve Your Cash Flow. See what can be done to reduce inventory costs without sacrificing the quality of goods or inconveniencing customers. Are you ordering too many of particular items? Can an item be sourced somewhere else at a better price? Is there a drop-shipping alternative that will work for you, eliminating shipping and warehousing costs? Just because you've always ordered something from a particular supplier or done things in a particular way doesn't mean you have to keep doing them that way - especially when those other ways may save you money. I have seen many articles on diversification as a strategy for small business success. (I've even written some!) But too often small business owners simplify the concept of "diversification" to "different". Just adding other products or services to your offerings is not diversification. At best, it's a waste of time and money. Worse, it can damage your core business by taking your time and money away from what you do best and/or damaging your brand and reputation. Drop the extras and focus on what you do best that is most profitable to recession-proof your business. If your small business is going to prosper in tough times, you need to continue to expand your customer/client base - and that means drawing in customers from the competition. How can you do this? By offering something more or something different than the competition does. Research your competition and see what you can offer to entice their customers into becoming your customers. We've all heard the old adage that a bird in the hand is worth two in the bush. The bird in the hand is your customer or client and he or she is an opportunity to make more sales without incurring the costs of finding a new customer. Even better, he or she might be a loyal customer, giving you many more sales opportunities. If you want to recession-proof your business, you can't afford to ignore the potential profits of shifting your sales focus to include established customers. See 6 Sure Ways to Increase Sales. In lean times, many small businesses make the mistake of cutting their marketing budget to the bone or even eliminating it entirely. But lean times are exactly the times your small business most needs marketing. Consumers are restless and looking to make changes in their buying decisions. You need to help them find your products and services and choose them rather than others by getting your name out there. So don't quit marketing. In fact, if possible, step up your marketing efforts. Hard times make it harder to borrow and small business loans are often among the first to disappear. With good personal credit, you’ll stand a much better chance of being able to borrow the money needed to keep your business afloat if you need to. To recession-proof your business, keep tabs on your personal credit rating as well as your business one and do what's necessary to keep your credit ratings in good shape. There's absolutely nothing that will make your small business one hundred percent recession-proof. But implementing the practices above to recession-proof your business will help ensure your small business survives tough times and might even be able to profit from them. What Is CRM and Is Yours Doing What It Needs to Do?